And the most impressive part of his story is that all of that expertise has not only helped him in his burgeoning career as a home construction magnate, but as one of the most explosive goal scorers in all of Canadian university men’s soccer. And while Lowndes was actually referring to Jhaj’s career goals after he finishes playing the game, the way the former Aldergrove Community Secondary grad has been performing this season, you’re forgiven for thinking it was a cheeky play on words. 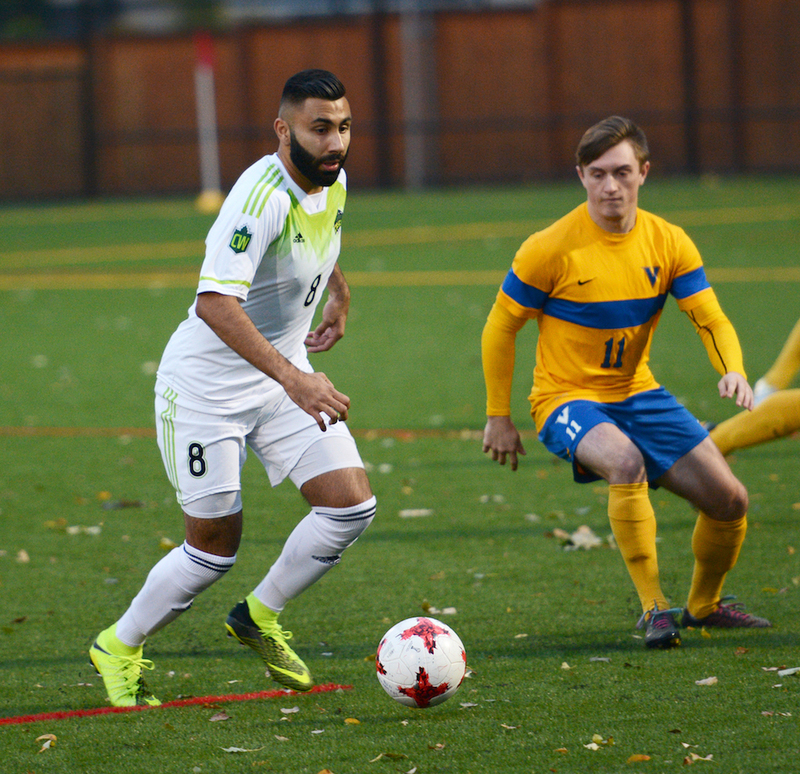 Jhaj has scored six goals in the Cascades’ first six games, and it’s enough to put him in a tie with UBC’s highly-decorated fifth-year transfer Caleb Clarke for first in the Canada West. Jhaj, Clarke and Alberta’s Easton Ongaro are locked in a three-way tie for first in points with eight apiece. And on top of all of that, a Cascades’ team picked to finish 11th out of 13 teams the Canada West preseason coaches poll heads into Friday’s home match (8 p.m., MRC Sports Complex) against the Saskatchewan Huskies (2-4-0) with a 3-2-1 record, good enough for third place in the Pacific Division. Last season, the Fraser Valley Cascades finished last in the Pacific with a 4-9-3 record, then broke camp in preparation for the new season with as many as six freshmen in the starting line-up. Simple math strongly suggested all of this was a recipe for disaster. That is, however, until Lowndes followed through on last season’s stretch-drive experiment in which he moved up Jhaj, his reliable holding centre-midfielder, to a spot as his go-to attacking striker. 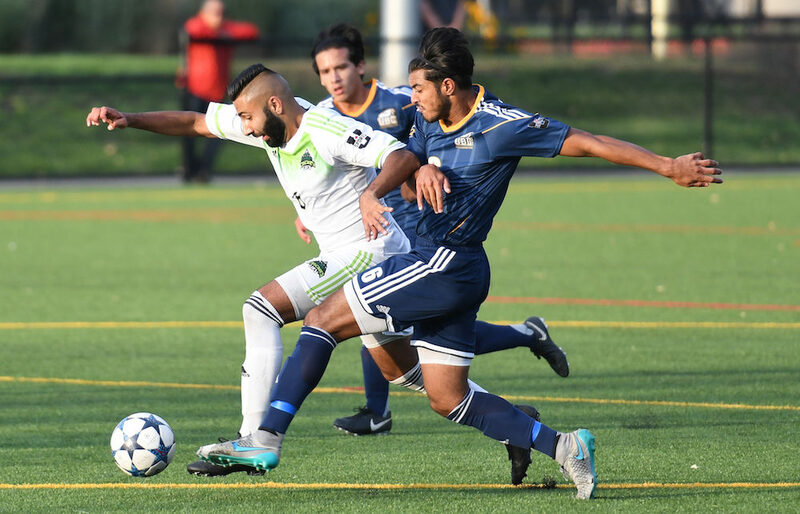 Success begat success as Jhaj took that four-game stretch into the off-season, where he continued to re-hone his offensive mindset up front with Pegasus of the VMSL. After scoring all three of his team’s goals in a 2-0 win Friday at Calgary’s Mt. Royal, then following up with a gem of a goal in an eventual 3-2 loss Sunday in Edmonton against No. 8 Alberta, the experiment could only be called an unqualified success. Lowndes was pretty sure it was going to work, and the one question he had was very quickly answered. And his multi-positional resume is a reason why he has been able to step so seamlessly into his new role. Earlier in our story, Lowndes mentioned that Jhaj was enjoying “a new lease on life” at Fraser Valley. And that’s because, back in the 2015, he wound up missing an entire season due to an academic-related mis-step. Jhaj had gotten the required passing grades in one key summer class but failed to complete all of the course’s technical requirements. “I didn’t get my grade back until the week before our season opener, so my option was to do an on-line course and miss a chunk of the season, or sit out the year and come back the following season,” he remembers. Jhaj chose the latter, and admits readily that back then, he was more about playing soccer for the Cascades and preparing himself for the family business than he was about his classes. These days, equilibrium has been established. In fact Jhaj seems to be the very definition of the involved student-athlete. 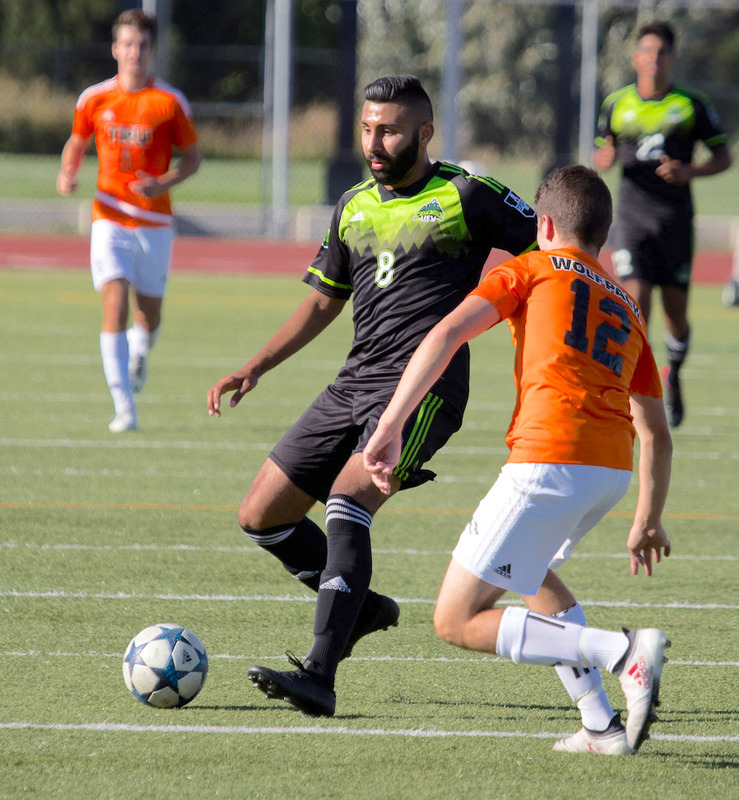 Not only has he achieved excellence on the field as a leader for his Cascades, he has made the classroom a priority, preparing to take his additional course-related business acumen into the family’s construction business. Yet Jhaj isn’t content to simply be handed a set of executive keys to the company. So despite all of his student and academic demands at UFV, he is basically operating the company at a co-CEO level with his dad Ramandeep. It’s the team work he enjoys. In fact in the one season he missed back in 2015, he trained with the team during the week, then went through the excruciating exercise of not being able to join them on the pitch come game day. “That was tough,” he remember. And that’s why he really does have a new lease on life.